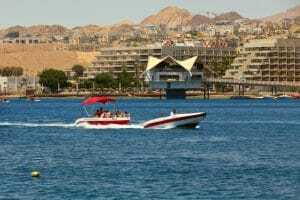 Red Sea Parachutes Eilat is a veteran water sports club established in the late 1970s and is one of the leading water sports companies in Israel. The club meets the standards of the Ministry of Transport and the National Standards Institute, and maintains a high level of safety. 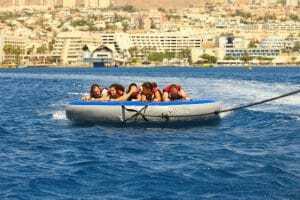 The Red Sea Parasailing Eilat team is a highly experienced team composed of professional scouts from the Navy. The Red Sea Parachutes have two stations. 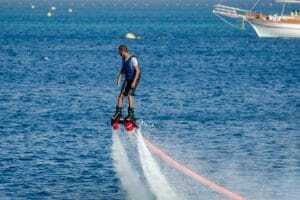 One on the promenade of the King Solomon Hotel, and the other on the promenade of the Royal Beach Hotel. The stations are spacious and shaded and can accommodate large groups of up to 200 vacationers. 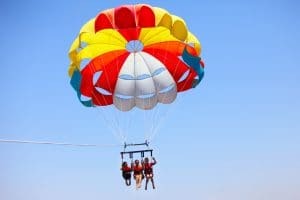 Among the many activities offered in the Red Sea parachutes are water skiing, motor boats, bananas, tubs, pedal boats, kayaks and, of course, parachutes. In addition, discounts and packages of attractions are offered to groups, workers’ committees, educational institutions and more.